Home » Thinkun Blog » How we did it » Thinkun wins silver in the 2017 W3 Awards! One of Thinkun’s favourite clients is 5th Element Expeditions. Not only are they all-round awesome adventurers, they are also wonderful people who do an amazing amount of good in the world. As you can imagine, this makes building a website for them a pretty cool project. But when you find out you won a global award for it, the good vibrations amplify a thousand-fold. The W3 awards have been held for the past twelve years, to honour creative excellence on the web. Their mission is to recognise the creative and marketing professionals behind the work – no matter what type of business or agency they come from. 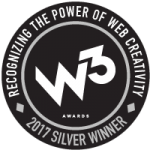 The W3 is sanctioned and judged by the Academy of Interactive and Visual Arts, which is an invitation-only body of people from top-tier media, interactive, advertising and marketing companies. 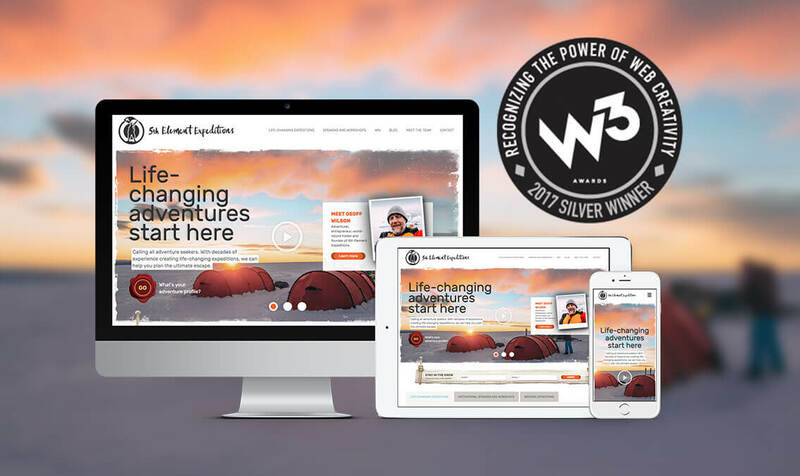 Our silver win was in the category of ‘Website Features – Visual Appeal – Aesthetics’, and it puts Thinkun and 5th Element Expeditions up alongside global companies such as Skype, Microsoft, Verizon and Bausch & Lomb. At Thinkun, we take a huge amount of pride in the visual appeal of our websites. We firmly believe that a good user experience can’t happen unless it’s accompanied by great design, so we aim to make every site we build a pleasure to visit. This award in particular is very gratifying, and certainly justifies our dedication to building functional, beautiful websites.